TU/e intends to make biofuels from its own wood waste. Fuel pumps will be installed on the university campus at which staff will in the future be able to fill up their cars with diesel fuel or gasoline. Researchers at TU/e are developing a small-scale demonstration reactor that will process 40 tons of wood waste per year from the university into replacements for diesel fuel and gasoline. TU/e aims with this project to demonstrate the viability of small-scale, environment friendly fuel production from its own waste material at competitive prices. One of the fuels which the university intends to produce is CyclOx, a TU/e-patented diesel variant that reduces soot emissions. 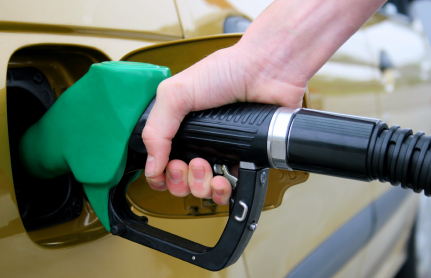 A mixture of CyclOx and standard diesel fuel will be available at the TU/e pump in the near future. The addition of 10 percent CyclOx to standard diesel fuel reduces soot emissions by up to 50%, as shown by recent research by Michael Boot MSc PhD in the Combustion Technology group led by prof. Philip de Goey PhD. The principle of CyclOx is that it delays the start of combustion, giving the mixture of air and diesel fuel more time to mix thoroughly. This in turn results in a cleaner combustion process. In addition, this fuel meets the planned EU standard which specifies that fuels must have 10% biofuel content in 2020. As well as CyclOx the university’s wood waste – such as pallets and wood packaging – will also produce other fuels, including ethanol (alcohol). This will be offered at the university pump in a 10:90 mixture with gasoline, which most gasoline-powered cars can use without modification. In the first phase of the project the university will install fuel pumps, in 2012. At this ‘filling station’ the diesel/CyclOx mixture will initially be available for a selected test group. In exchange for free fuel these users will contribute to the research project into the short- and long-term effects of using this fuel. In this phase the CyclOx will still be produced by an external party from mineral oil. At the same time researchers at TU/e in the group led by prof. Emiel Hensen MSc PhD (chair of Inorganic Materials Chemistry) are working on a demonstration reactor to convert wood waste into the above fuels. The plant is scheduled to be operational by mid-2015, supplying all TU/e’s generating sets and vehicles. The production output is expected to far exceed the fuel needs of the university itself, so TU/e staff will later also be able to fill up their cars at the pump. Project leader Boot expects fuel from the TU/e pump to be no more expensive than at other filling stations because of the use of wood waste. This waste currently has a negative value as the university has to pay for its disposal. Using this wood waste will therefore reduce the price of the final fuels. The university intends with this project to show that it is possible for organizations to produce environment-friendly fuels themselves at a competitive cost. “I hope other universities and organizations will follow our example at TU/e”, says Michael Boot. “It’s also high time for industry to become enthusiastic about this pilot project. But we can’t expect industry to embrace our technology if we don’t first do the same ourselves.” The project also fits TU/e’s aim of applying the technologies developed at the university itself in pilot studies or ‘Living Labs’. Eindhoven University of Technology (TU/e) is a research-driven, design-oriented university of technology with a strong international focus. The university was founded in 1956, and has around 7,200 students and 3000 staff. TU/e has defined strategic areas focusing on the societal challenges in Energy, Health and Smart Mobility. Around 230 researchers from dozens of TU/e research groups are working in the Smart Mobility areas on clean, efficient and intelligent vehicle technology, and on logistics and traffic systems. The aims include reducing emissions and congestion, and increasing safety. Examples of recent developments at TU/e are intelligent cars that communicate with each other to prevent congestion, lighter batteries for electric cars, cleaner and more economical diesel engines, and optimized planning models for goods transport. As well as research, the TU/e activities in the Automotive field include a Bachelor’s track, a Master’s program and a post-Master’s designer program, the Master’s program in Operations Management and Logistics, and the designer program in Logistics Management Systems. The Brainport Eindhoven region is the world’s smartest this year; it won the title Intelligent Community of the Year 2011 by the Intelligent Community Forum (ICF).